After a long day of mad-scientist-level mixology at Cambridge’s Café ArtScience, bar manager and partner Todd Maul wants a gin Martini. It may not require any lab equipment (rotovaps and centrifuges get heavy use at this bar), but Maul's recipe for this classic is extremely precise. 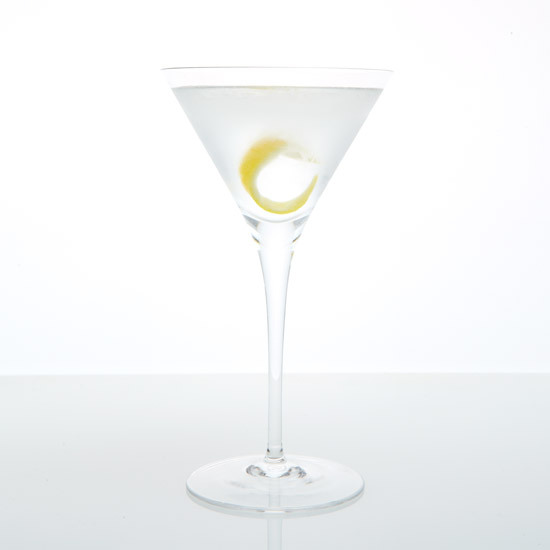 Here, his guide to stirring up (certainly not shaking) the perfect Martini. Maul likes his Martini on the sharp side, and this high-quality but not-too-refined standby produces the mouth-drying effect he's after. Maul adds just one dash of Regan’s orange bitters to the cocktail. While the gin has a drying effect, the bitters do the opposite and make your mouth water. Maul doesn’t time his stir, as many bartenders do. Instead, he goes by feel. It should be very, very, very cold.